Introduced last season, the Armada Al Dente is Henrik Harlaut’s pro model. If you know Henrik, then you’re familiar with his larger-than-life personality, and his unique style of skiing that goes right along with it. It maybe isn’t so surprising, then, that the Al Dente has a pretty eccentric design for a park ski. What is surprising is that Henrik finished in sixth place in slopestyle at the Olympics this past February, and can pull off nose butter triple corks on the Al Dente. The Al Dente isn’t billed as a competition park ski, and I don’t think you should expect to use it like one—unless you’re name is Henrik, evidently. I found the Al Dente to shine as an ultra-playful jib tool, so if you’re looking for a ski that will butter and press with absolute ease, keep reading. The Al Dente has a significant amount of tip rocker (running 25cm from the tip of the ski to the contact point in the shovel), traditional camber underfoot, and no tail rocker. The Al Dente has a relatively soft flex underfoot and through the tail. Its flex is slightly softer in the shovel around the rocker line / contact point, and it then goes very soft in the tip of the ski, ahead of the contact point. This creates a kind of hinge point, allowing the rider to easily load up the front ski when performing butters and presses. The Al Dente’s soft, playful flex and rocker profile don’t provide a whole lot of stability, however, so Armada tried to counteract this somewhat by beefing up the ski’s width to 98mm, making the Al Dente the widest ski in their Park line. I had an absolute blast hitting rails, jibs, and side hits on the Al Dente, and also ripping around through the slush on the glacier at Blackcomb. 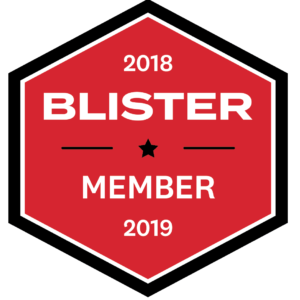 The ski’s tip rocker helped it cut through crud and slush smoothly, but it also made executing nose butters and presses effortless and enjoyable. Presses on rails and boxes felt more natural on the Al Dente than on any other ski I’ve ever ridden, including the Nordica OMW, which I had ridden the previous week and considered a fairly playful, fun jib ski in its own right. Likewise, the Al Dente makes rail tricks that require working the skis’ flex really easy. Only a little pressure over the tip or tails is needed for a butter or nose slide, yet the skis never folded or flexed out completely on a rail. And in this way, the Al Dente’s name makes a whole lot of sense—it has a decidedly soft flex that makes performing butters and presses very easy, while still being just firm enough to push back and keep you from slipping out on the trick. I found that the Al Dente’s wider, 98mm platform, while part of an attempt to counteract a loss in stability caused by its soft flex, also made the skis considerably heavier and more cumbersome in the air. Compared to a narrower park ski, I found the Al Dente’s width to feel laborious when performing any spin bigger than a 540. 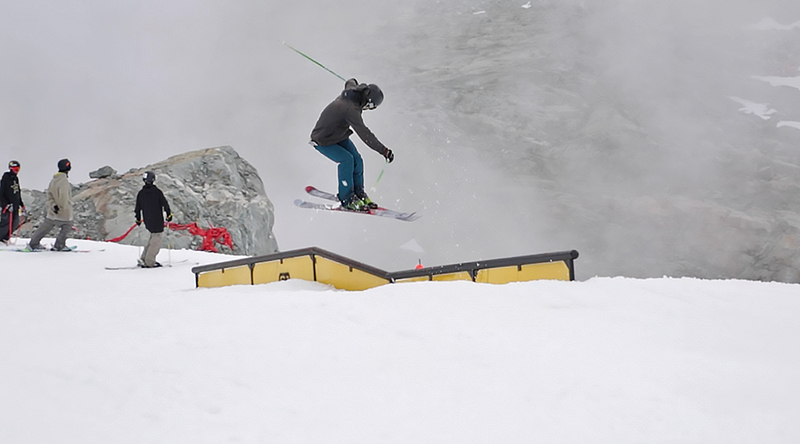 It wasn’t impossible to do bigger spinning/flipping jump tricks on the ski, but given the Al Dente’s larger shape, executing them definitely required some extra effort. All in all, I still find the fact that Henrik can pull off a triple cork on these skis pretty amazing. The Al Dente’s wider waist does create a more stable platform for landing, unless you happen to land a bit nose-heavy. The Al Dente’s soft, heavily rockered tips don’t provide much support here, and I found the skis flying right out from under me on a few switch landings. Another soft park ski I’ve tested that excels on jibs and rails is the Scott Jib TW. Like the Al Dente, the Jib TW’s soft flex didn’t do me any favors when reining in off-kilter landings, as its tips and tails offered little rebound and support. However, at 86mm underfoot, the Jib TW is quite a bit narrower than the Al Dente, so even though landings were sometimes tricky on the ski, it’s light swing weight and skinnier waist make executing bigger tricks in the air quite easy (not so on the Al Dente). If you want a decidedly jibby park ski, but one that you can still expect to handle well while in the air on bigger jumps, then you might want to consider the Jib TW over the Al Dente. The Al Dente really is in a class of it’s own as a wide park ski that makes no sacrifices when it comes to jib-oriented riding. Hey, I bought the Armada Al Dente, mostly to learn how to butter. I’m 5’9″, and I got the 168 cm. I was reading about buttering recently, and someone who was 5’8″ said he uses 178 cm for buttering, and wouldn’t go any shorter. Should I exchange these 168s for some 178s? Or will it not matter too much? Personally, I would recommend the 178cm over the 168cm for someone your height, particularly considering how much tip rocker the Al Dente has (and how much shorter it will feel as a result). As for how a different length would affect the ski’s ability to butter, I don’t have a concrete answer. 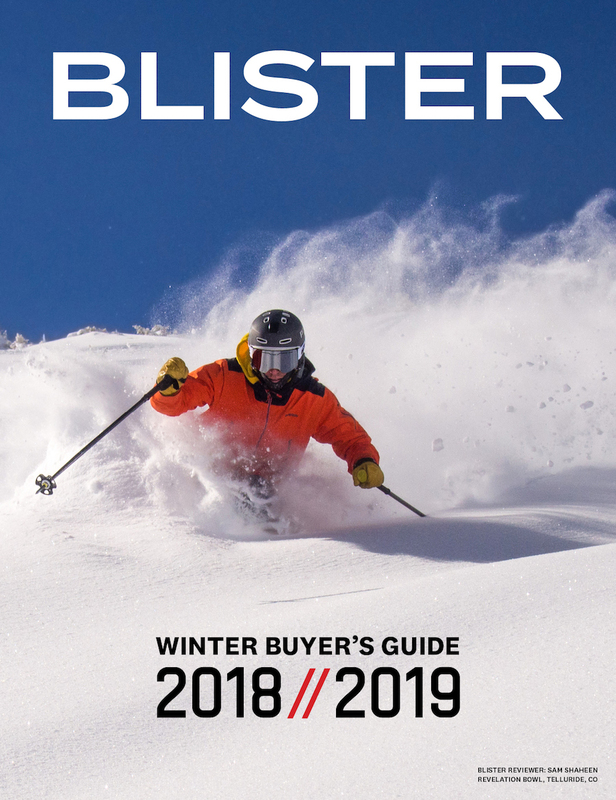 My intuition says that longer skis will be harder to initiate butters, although the longer ski might excel in that it’s effectively a larger lever with which to apply pressure on the tips when buttering. 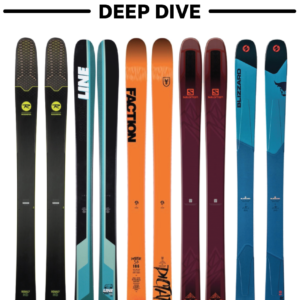 I am 6’4″165lbs and am currently riding 178 J skis and I am looking at these simply because I want a softer and wider ski. Would you recommend getting the 178’s or 188’s, I feel like the 188’s will be pretty heavy in the air, that is my only worry. The 188 may feel a bit bulky at first, but I think the pros of a longer version of this ski will outweigh the cons. While the extra 10cm may add a bit of additional swing weight, the Al Dente’s tip rocker causes it to ski like a significantly shorter ski than its actual length. At 6’4″ I think the extra 10cm will feel more solid under your feet and ski like a length that’s more appropriate and enjoyable for someone of your height. I enjoyed the 178 length (I’m 5’9″ 150 lbs) but would have preferred something in the 182-184cm range. I think the 178 might just feel a bit short for you. How do these skis fare as all-mountain skis in bowls and steeps? 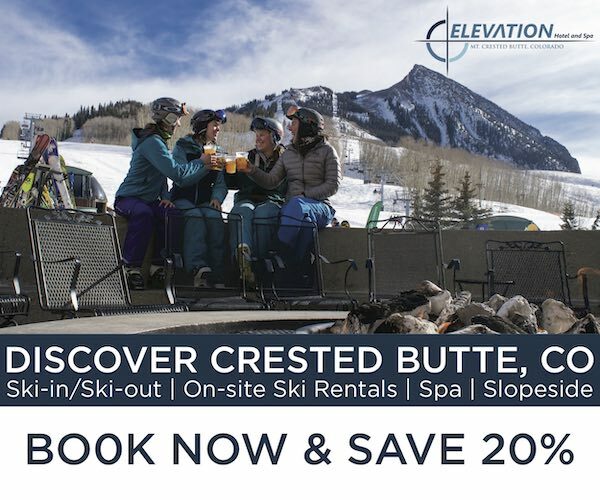 I spend quite a bit of time in the park (jumps mainly), but like hitting back bowls and steeps in CO equally (like lake chutes or highland bowl). I’m trying to decide between these and the Bacons. I’m an advanced-intermediate/expert skiier, and am a bit heavier (210lb) by the way. Thanks for your insights. 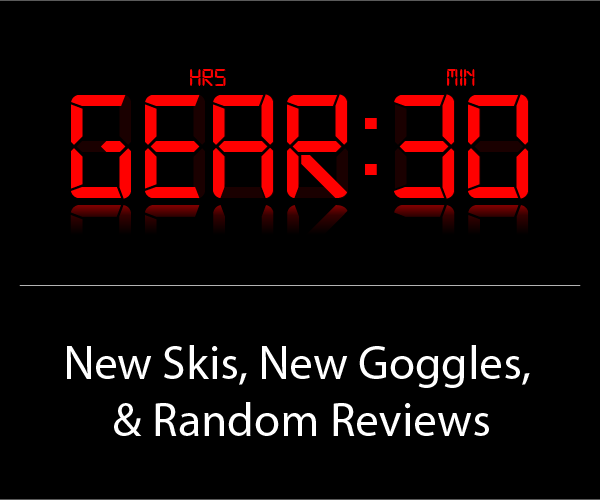 I’m not sure what skis to get I’ve been considering the Al dente and the salmon nfx lab. Any Idea on what I should get. I am 5’11 160 any size ideas? The Al Dente and Salomon NFX Lab excel in fairly divergent ways. The NFX Lab is significantly stiffer and doesn’t feature any rocker and will outperform the Al Dente on big jumps. 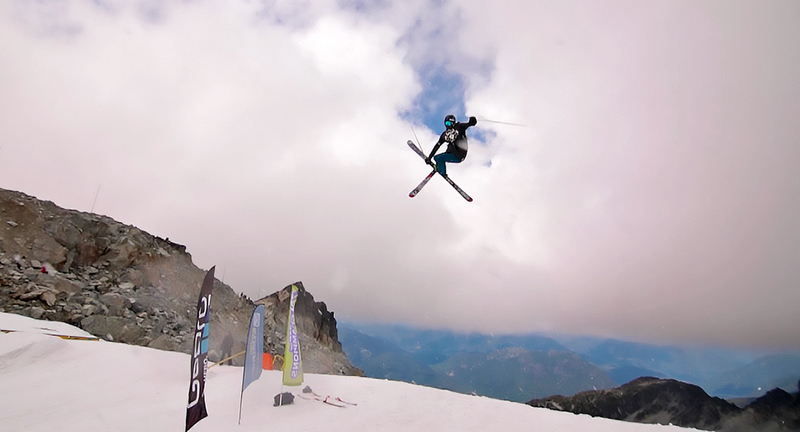 With that said, it doesn’t touch the Al Dente with a ten foot pole in terms of playfulness as a jib ski. I’m 5’9 and skied the 178 Al Dente and found it to ski slightly short, but it may work as a size for you depending on what kind of a skier you are. For the Salomon NFX lab, I’d probably recommend the 181cm if you like your skis fairly long or the 176 if you’re more comfortable at a shorter length. I actually ended up putting a decent amount of time on the Al Dentes outside of the park this past season. 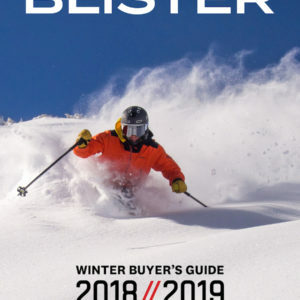 They’re not the dampest all-mountain ski that you’d find – the tip rocker ends up making the ski feel a bit loose and unstable at high speeds outside of the park, as you may have guessed from this review. Still, they’re light and nimble in initiating turns. As far as park skis perform outside of the park, the Al Dente isn’t a bad choice, to be honest. I would like to buy new Armada Edollo but I can’t decide what size to buy and I need your help. I am 171cm and I weigh 78kg. I am Intermidiate level skier but I am going to progress my skiing ability. I want those skis for all mountin freestyle riding. Some people recommended to pick 178cm because of its nose rocker and they say that it skis shorter. What size would you recommend?